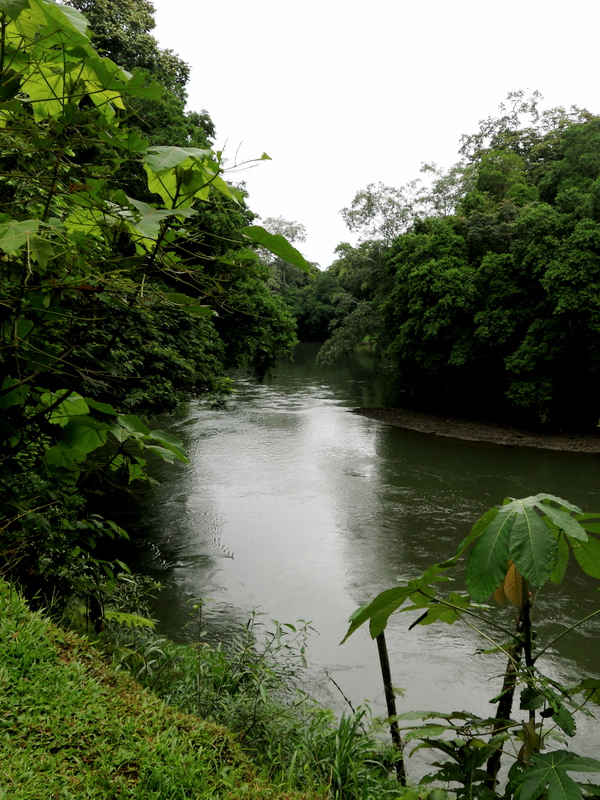 A trail at La Selva takes you directly to the confluence of the Puerta Viejo and Sarapiquí Rivers. Costa Rica is a country known for emphasizing its biodiversity and conservation practices. In the world of tropical studies, one particular Costa Rican research center reigns among the most prominent: La Selva Biological Institute. La Selva is a station in Sarapiquí nestled in the Caribbean lowlands of northern Costa Rica. Located near the intersection of two rivers, the Puerto Viejo and Sarapiquí Rivers, the station comprises 3,900 acres of land, of which 73 percent is primary, tropical rain forest. Throughout the year, La Selva consistently averages over 13 feet of rainfall, leaving the area humid and abundant in biodiversity. According to its website, La Selva was first established in 1954 by Dr. Leslie Holdridge. Holdridge wanted to dedicate a farm to the experimentation of plants to improve the management of natural resources. In 1968, La Selva was purchased by the Organization for Tropical Studies. A non-profit organization, Organization for Tropical Studies that has grown to include approximately 64 universities from all over the world. OTS also has a station on the Caribbean side of Costa Rica, and two on the Pacific Ocean side. 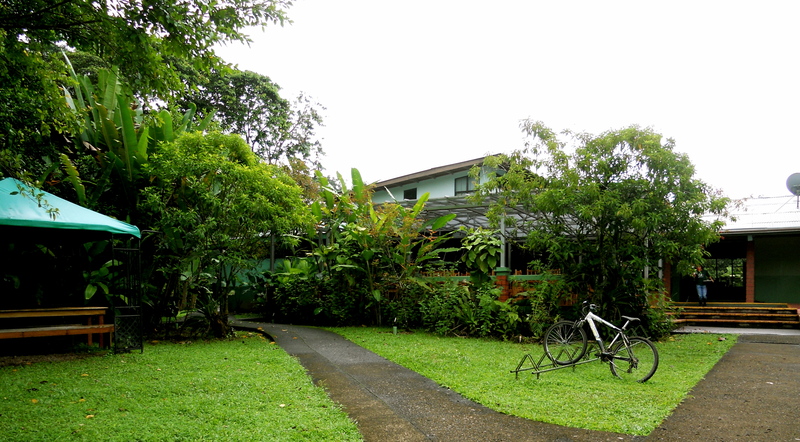 Las Cruces Biological Station, on southern Costa Rica’s Pacific shores, is home to the most famous botanical garden in Costa Rica, the Wilson Botanical Garden. The station in the Pacific north, Palo Verde Biological Station, is a dry forest with a widespread marsh area. La Selva is a rain forest. 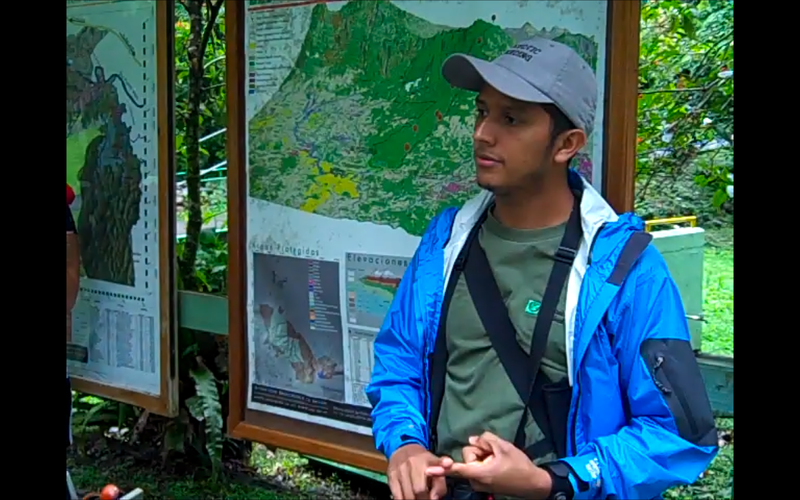 During a walking tour, Lenin Duarte, a naturalist guide at La Selva, describes the history of the biological station. Researchers stay anywhere from two weeks to two years. Alexander Defrancesco, a graduate student from the University of Connecticut, is doing research on primary and secondary reforestation at La Selva. Defrancesco is observing why different species prefer different conditions. Pioneer species – plants species with very little seeds that depend on sunlight – are ideal species to plant when reforesting an area, he said. “This particular research that we are doing now, finding the different traits for all the different species, would be seeing whether the 500 species we are looking at are pioneer species, secondary species (or) old growth,” he said. “With that, we will know which species are pioneer species to add to pastures and get reforestation started.” Unlike other research facilities, La Selva has the old-growth forests necessary for scientists, like Defrancesco, to facilitate their particular study. The research is also helping scientists understand secondary forests worldwide and with conservation efforts. Results can shed light on which animals will survive climate change and how it will affect them. “It goes into not just the reforestation, but also the conservation of the forests,” Defrancesco said. Defrancesco, along with many other researchers at La Selva, find many benefits in researching at this station over other research facilities. In addition to the large archive of data available at La Selva, researchers find many colleagues at the facility which whom they can exchange ideas and socialize. Diego Dierick (right) talks with a colleague outside the dining hall of La Selva. The community of scientists researching at La Selva is a distinct quality that makes it stand out from other research facilities. Diego Dierick, who has been stationed at La Selva for approximately one year and three months, finds station life delightful and the community of researchers very useful. Like Defrancesco, Dierick finds the resources available at La Selva to be the most beneficial. He appreciates the opportunity to collaborate with other scientists. “From a scientific point of view, you have all these people working on all these little different topics, and you get a little bit of information from all these different corners. That is something I have never experienced,” he said. More than 300 scientists from 25 different countries work at Costa Rica’s OTS sites each year.